The ‘Old Spot’ is the oldest recorded pedigree pig in the world. The pigs were traditionally kept in the cider orchards and folklore tells that the spots were a result of bruises caused by falling fruit. HRH The Princess Royal is the Patron of the Gloucester Old Spot Society and both she and the Prince of Wales keep ‘Old Spots’ on their estates. 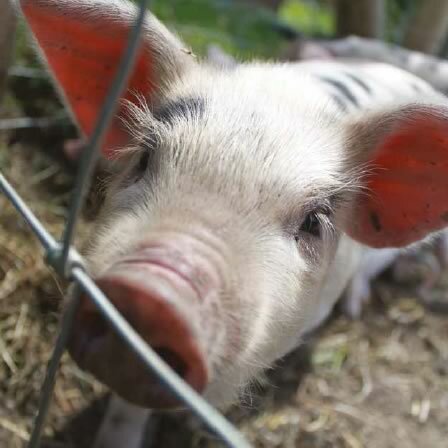 They can grow to over 270kg (43 stone) and will normally produce two litters each year of 6-12 piglets.